Did you know you can DIY Candles? You can! It's easy. There’s nothing like your favorite candle to make you feel like home. The only thing that could be better than your favorite candle is if you MADE your favorite candle yourself. And you can. It’s not even very hard. 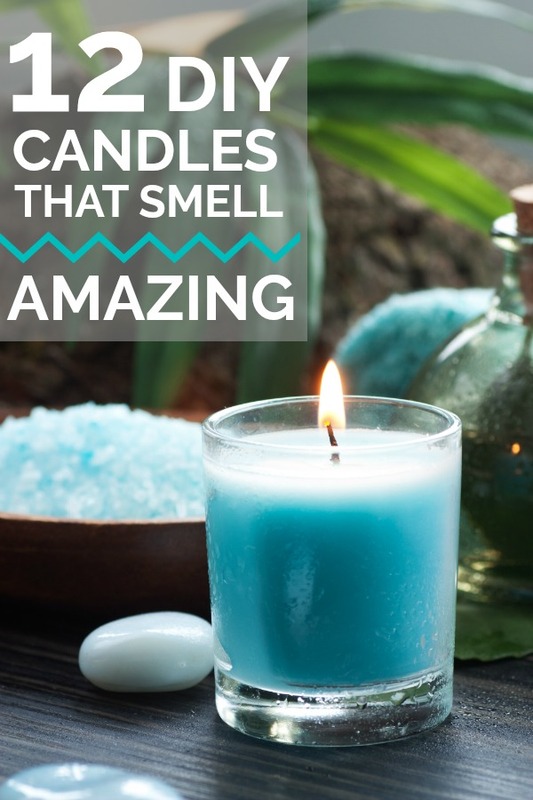 A DIY candle is mostly just melting and adding your favorite scents. The fun part is picking the scents and the vessel that will be the container for our DIY Candle. 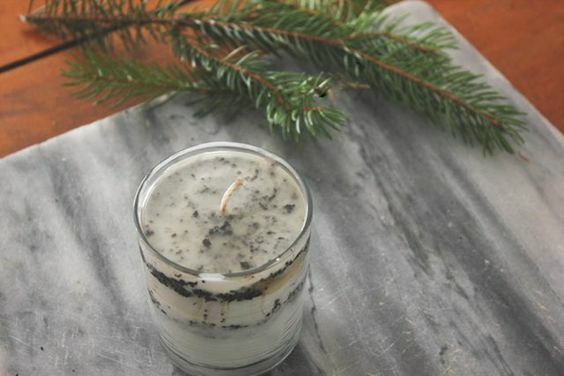 You really can make your own unique candle. Apple is such a fresh, crisp scent. 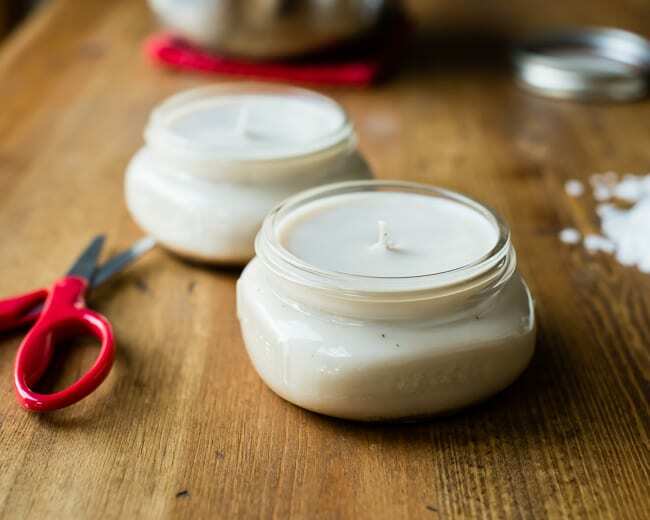 It’s a great place to start when making your own candle. This candle from This Mama Loves has some cinnamon in it which is so cozy and fall-ish. I love that it ‘s in a clear tea cup and you will love how she got that pretty red color. I bet you have that ingredient in your house somewhere! The spicy scent of a chai tea is unmistakeable. And I am a big fan of it. The scent is created with simple baking spices. 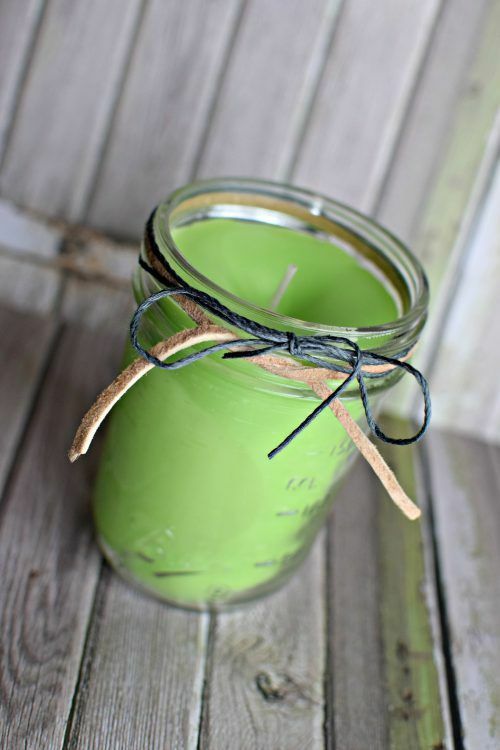 I love this chai candle from Hello Glow because it’s also a mason jar craft. Those short little mason jars are really cute and perfect for a candle. When Fall comes around, cinnamon and clove are a scent staple. This candle from No Compass Necessary incorporates both. This candle also includes a wood wick, which, if you want to up your DIY Candle making game, go with the wood wick. You’ll get that great fire crackle sound. It’s a little extra special. And, of course, the cute packaging here, with the black gingham and the jute string, that goes a long way! This would be great as a handmade gift. This is a coffee scented candle from eHow. I mean, is there really much more that needs to be said here? It’s a candle. That smells like coffee. Now go read the tutorial and make it already! If you haven’t tried Cucumber scented anything yet, you need to. I remember 100 years ago, I had a lotion from Victoria’s Secret that was cucumber scented. It’s to die for. As far as scents go. 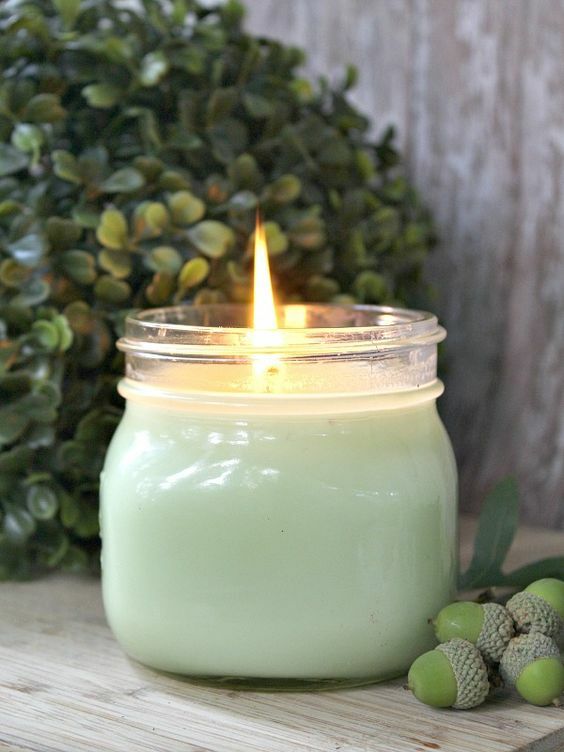 This pretty candle from Sweet Nature’s Beauty also has some mint in it. This Eucalyptus scented candle from The Homespun Hydrangea is made with super simple ingredients. The Eucalyptus scent comes from essential oils. Once you realize how quick and easy DIY candles, you may not buy candles ever again, really. You’ll be a little mad at Yankee Candle for how much they cost. Ok, maybe not, Yankee Candle candles are pretty awesome. 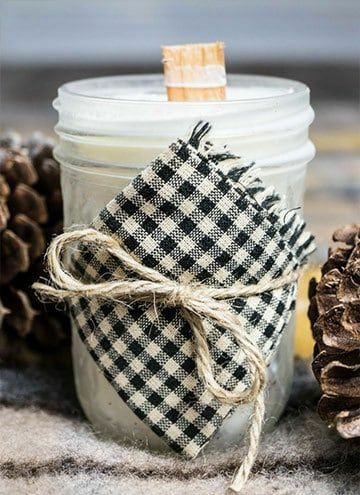 A pine scented candle might not immediately send you running out to buy your candle making supplies. But it should. The smell of pine in your home is AMAZING. So fresh and clean and still nice and light. 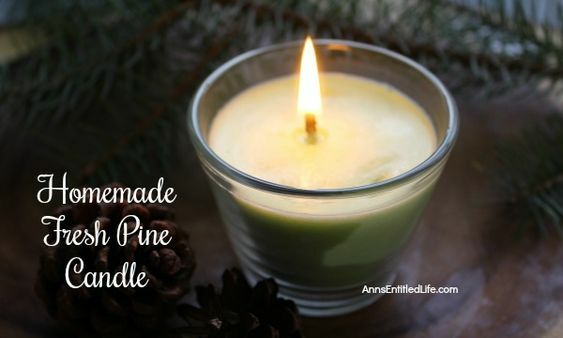 This pine scented candle from Ann’s Entitled Life should be on your list. I love this smart idea of a layered scent candle from Hello Nest. You can get three of your favorite scents in one candle. Not all at the same time, but as you burn the candle, you’ll eventually get through each scent. It sounds complicated, but the tutorial at Hello Nest says it’s super simple, so maybe give this one a shot! 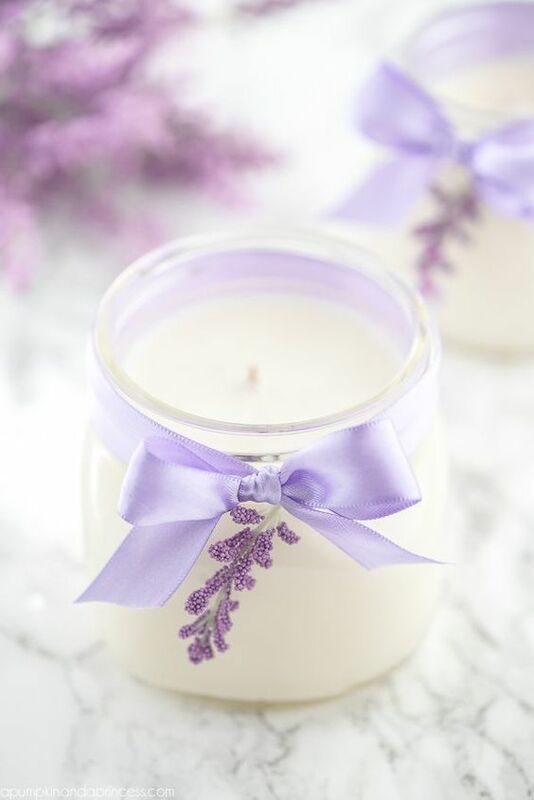 Lavender is a great choice for a DIY Candle. It’s a soft, sweet smell and it’s known to be relaxing. Just don’t fall asleep with the candle burning, though. 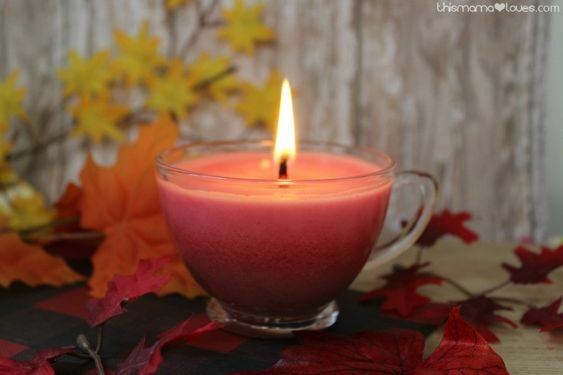 This pretty candle from a Pumpkin and a Princess is perfect for DIY’ing. You can’t go wrong with a Lemon scented. You can’t really go wrong with a lemon scented anything, actually. No one is going to walk into your house and go “Eww, is that lemon?”. It’s just a universally loved scent. It’s clean and light and perfect for DIY’ing. 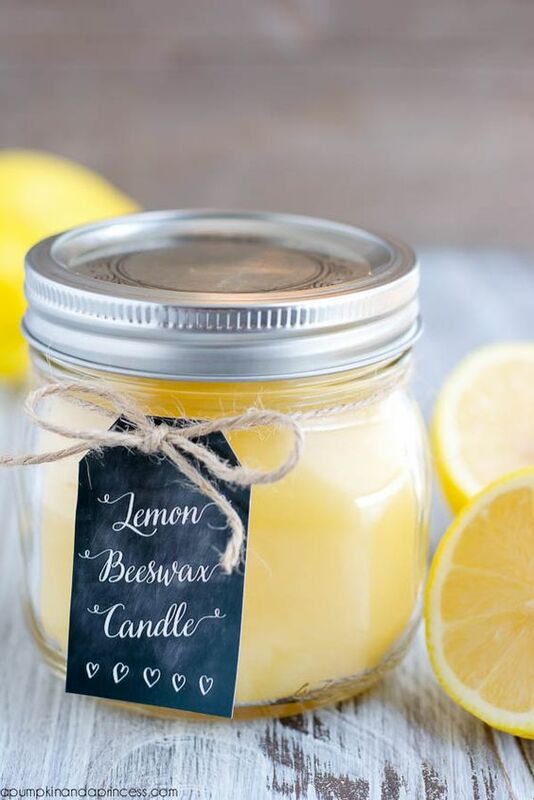 This lemon candle recipe from a Pumpin and a Princess looks perfect. 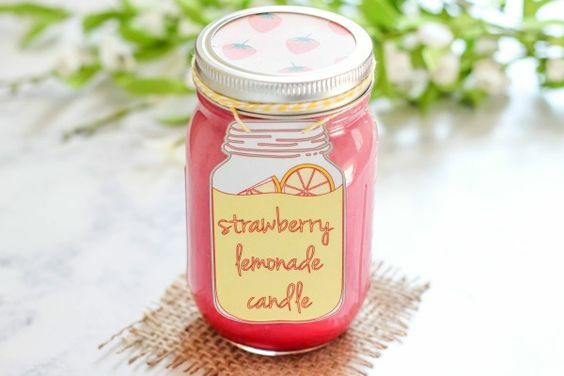 This strawberry lemonade candle from Purely Katie has got me longing for summer. And the labels on this one are too cute. Of course, there’s a free printable for them so your candle can be just as adorable as this one. Hop over to Purely Katie, check out the DIY and download those labels. 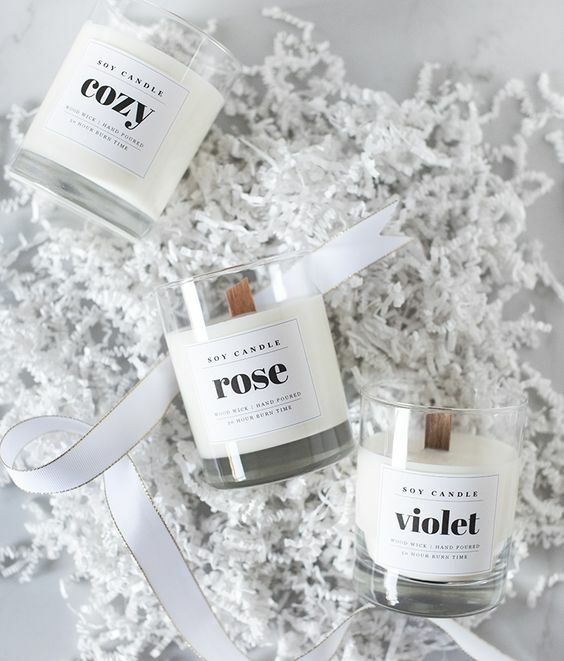 The scents, sure they are probably fantastic on these candles from Coco Kelley. But I’m not gonna lie, it’s those fancy labels that got me. These look as far from a DIY as you can get. And you can totally download them for free. This such a fancy and still handmade gift to give. I love them. I must make some and gift them to myself. I’m pretty sure I have some candle making supplies buried somewhere in craft drawer(s) (or under the kitchen sink) (or possible in one of the bathroom linen closets). I really want to try the Eucalyptus candle, so that’s up next for me. Which is your favorite? 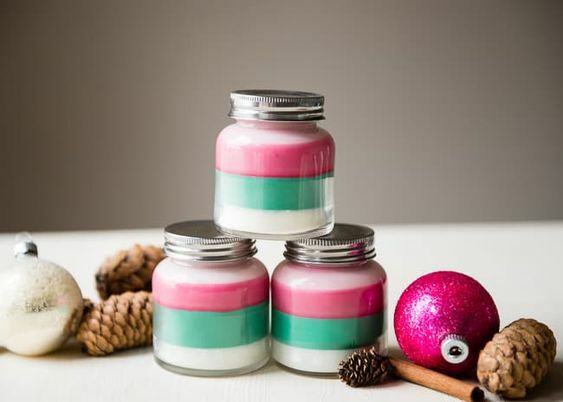 What DIY candles have you made that you love? Tell me in the comments!